Genetic and biochemical processes underlying interactions within plant and human microbiomes. 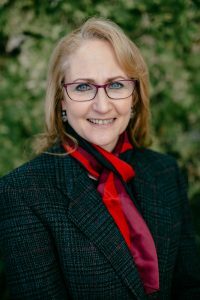 Dr. Jo Handelsman is the Director of the Wisconsin Institute for Discovery at the University of Wisconsin-Madison, a Vilas Research Professor, and Howard Hughes Medical Institute Professor. She previously served as a science advisor to President Barack Obama as the Associate Director for Science at the White House Office of Science and Technology Policy (OSTP) where she served for three years until January 2017, and was on the faculty at the University of Wisconsin and Yale University before that. She received her Ph.D. at the University of Wisconsin-Madison in Molecular Biology and has since authored over 200 scientific research publications, 30 editorials, and 29 essays. She has authored numerous articles about classroom methods and mentoring and she is co-author of six books about teaching - Entering Mentoring and Scientific Teaching. She is responsible for groundbreaking studies in microbial communication and work in the field of metagenomics. She is also widely recognized for her contributions to science education and diversity in science. Notably, she received the Presidential Award for Excellence in Science, Mathematics, and Engineering Mentoring from President Obama in 2011, and in 2012, Nature named her one of “ten people who mattered this year” for her research on gender bias in science. Research in the Handelsman lab focuses on understanding diversity in microbial communities and their role in infectious disease. In particular, we are interested in understanding the genetic basis for stability of microbial communities, the role of a gut community as a source of opportunistic pathogens, and the soil microbial community as a source of new antibiotics and antibiotic resistance genes.